Since 1999 that Pagani and Bonandrini have been working together, driven by the same principles and similar ideas. For this team the industrial design is a natural consequence of the project vision which approaches each theme in connection with its scale and purpose. 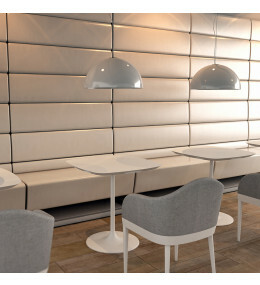 Palate Banquette Seating is a wall solution, a corner or freestanding module and back to back unit.